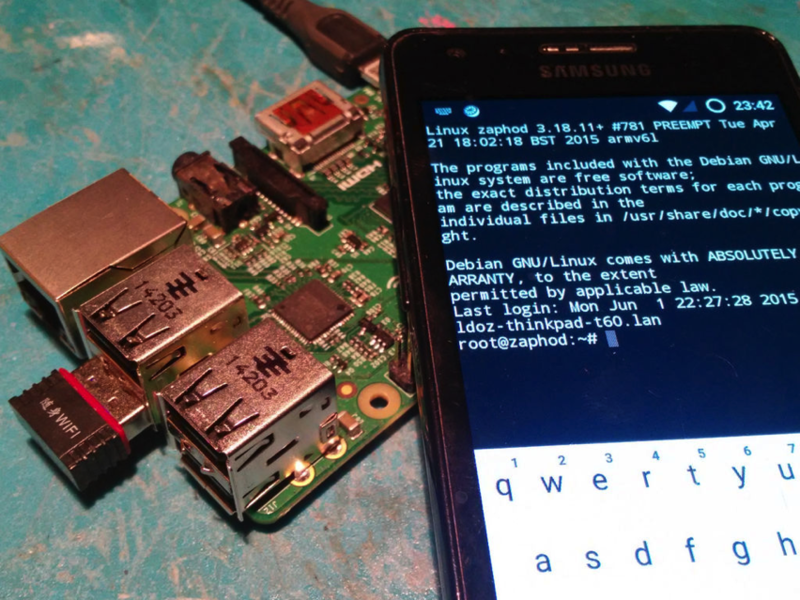 Mobile Headless Raspberry Pi WiFi Setup #piday #raspberrypi @Raspberry_Pi « Adafruit Industries – Makers, hackers, artists, designers and engineers! But when you go outside, at work or on any foreign network, once powered and connected to some ethernet cable you do always… get it lost on the net :-(, you have no way to know the ip address. Everything works fine at home, where you have access to the router admin, but when you connect it to the ethernet at work or in other complex enterprise nets there is no way to connect to the RPI. You will find some ready made solutions for the same ip-address problem, from blinking it on the power led to write it on some usb memory after startup, etc, just google for them if you like. I will suggest here some ways to get connected to your Raspberry with just the help of your smartphone.